Hungry and mischievous raccoons are getting into your garden, feasting on the literal fruits and vegetables of your labor. Find out how to keep raccoons out of your garden. What’s a coywolf? A coywolf is just what it sounds like, a coyote hybrid that’s a mix of western coyote and eastern wolf. Nite Guard creators and founders, Jim and Betty Meyer, share their gift ideas for the 2017 holiday season. They’ve included Nite Guard Solar lights and Nite Guard Repellent Tape along with Oakwood Game Farm smoked pheasant, and Minnesota wild rice. How can you tell if a coyote killed your chickens, livestock, or pets? Here, we describe the coyote’s kill style to help you determine if a coyote is your culprit. Have you ever wondered, “Will a coyote attack my dog?” Or, “Could a coyote go after my cat?” If so, you can take action today to protect your pets from coyotes in urban areas. The tips that follow are easy to put into action. Springtime is building season for birds. As the days get warmer and grow long, birds are busy building homes for offspring. Want to help out the birds nesting in your backyard? Do these two simple things. Lisa Steele of Fresh Eggs Daily has a TV show! Lisa has always given helpful advice on Facebook and her blog, but now you get that same helpful advice by video. Check out her latest episode on OurMaine about how to raise happy, healthy chicks. It’s the holiday season, and the Nite Guard team is in the giving spirit. We’re giving you more with our annual holiday special. When you buy 5 Nite Guard Solar lights, your 5th light is free. In Texas, they’re called feral hogs. In Arkansas, they’re razorbacks. Whatever the local name for wild boar, everyone agrees that they’re extremely destructive creatures. One of our customers experienced their destructive nature firsthand, before installing Nite Guard Solar lights. Earlier this summer, we asked you to share photos of your Nite Guard Solar and Repellent Tape installations. We’d like to give a big thanks to Yvette C. for sharing a photo of how she uses Nite Guard Solar lights to protect her hen house. This summer, we want to see how you use Nite Guard Solar lights and Nite Guard Repellent Tape on your property. Do you use your tape and lights to protect a backyard chicken coop, a garden, a remote cabin, a vehicle, or a place of business? Whatever you protect, we want to see it! Thank You for Taking Part in Our Community Blog Contest! Lots of hard work goes into tending cattle, so losing a calf to coyotes is devastating. In this post, learn how to protect calves from coyotes using non-lethal solutions. Summer is a time to enjoy the freshest of fruits and veggies. A major part of the summer bounty is sweet corn. Learn 5 tips on how to keep raccoon out of your sweet corn. Did You Correctly Guess August's Predator? Why isn't Nite Guard 100% effective all the time? Nite Guard Solar really works! Send us your photos of Nite Guard Solar in action! A Busy Fall with Nite Guard! 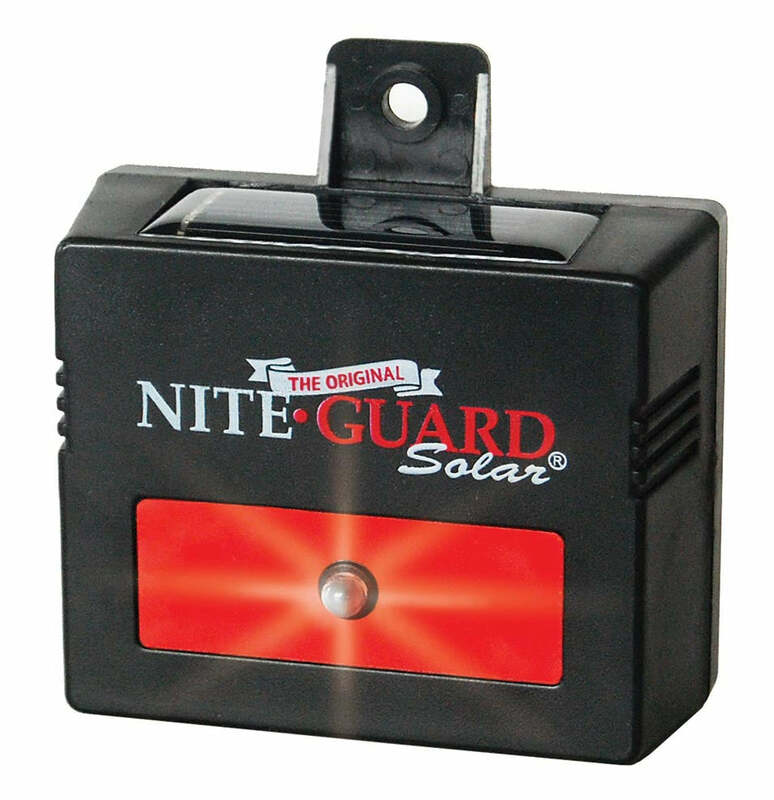 Is Nite Guard Solar Motion Activated? Will coyotes attack horses? The damage and injury from nocturnal predators to horses, especially foals, can be serious. The trauma inflicted on these animals we love so much is extremely hard to witness, and the cost can be immeasurable. Physiological and behavioral stress, as well as bodily injury, often occur.